The open water, surroundings and the company you hold are not the only reasons for having a passion for sailing. The perfect boat is of course crucial. 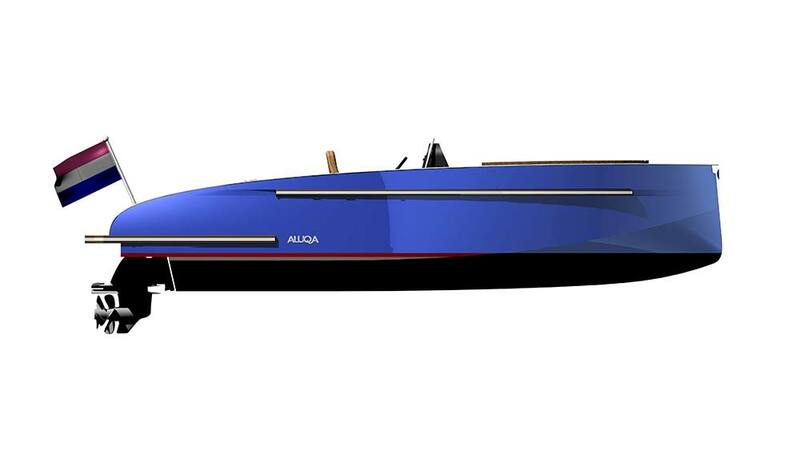 We would like to introduce you to ALUQA, the Dutch newcomer in the world of exclusive motor boats. The name reveals something of its unique properties. 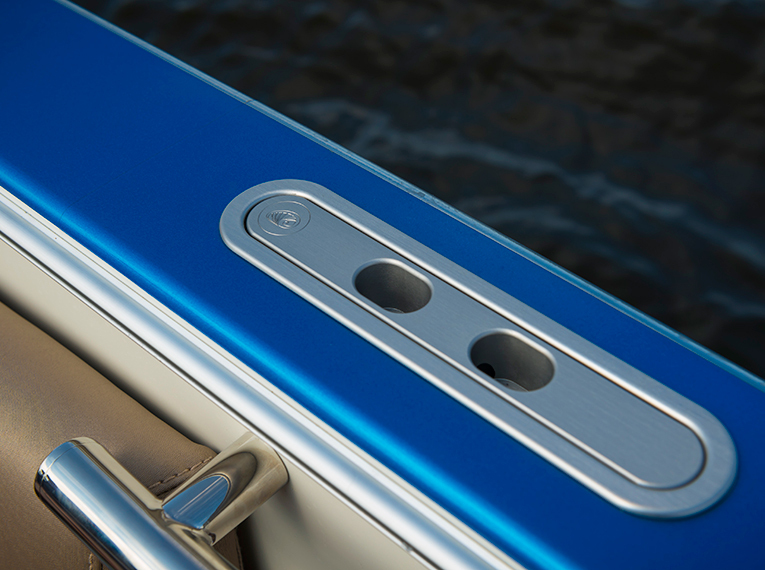 Entirely of aluminium and at the same time with an unrivalled power. 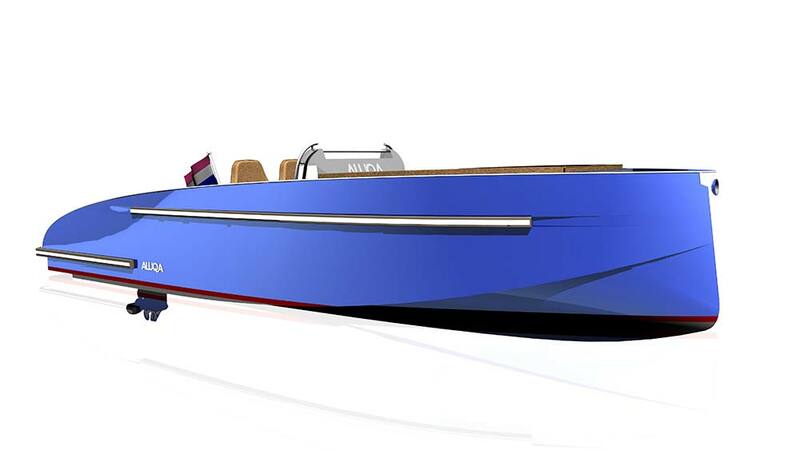 This impeccable Dutch design in all its glory has a beautiful shape, refined lines, is comfortable with a high-quality interior whilst maintaining a contemporary feel. Has this got your heart racing? 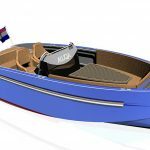 With its design, construction, excellent quality, use of high-quality materials and various innovative elements, the ALUQA gives Dutch design new wings. This certainly also applies to the lightweight construction and consistent use of aluminium, a preference that the ALUQA shares with a number of leading car brands. And for good reason, since aluminium offers numerous advantages, both on the road and on the water. 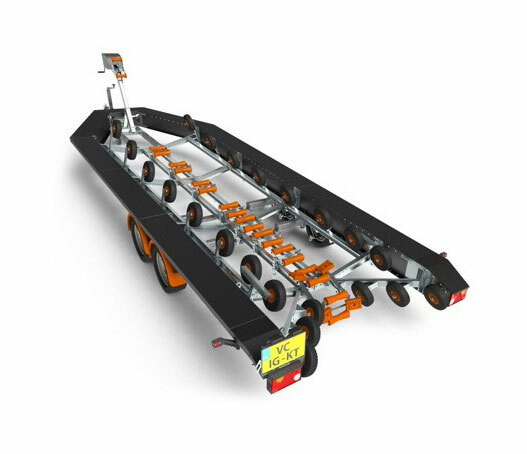 Moreover, aluminium improves manoeuvrability and is extremely strong. This provides added safety and stability, also at high speeds. 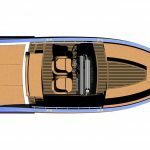 This translates into greater convenience for boat owners when transporting by trailer and the fact that aluminium is practically maintenance-free is definitely an added plus. The ALUQA shares a preference for lightweight, aluminium constructions with a number of leading car brands. 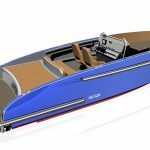 Aluminium offers numerous advantages, both on the road and on the water. Moreover it improves manoeuvrability and is extremely strong. 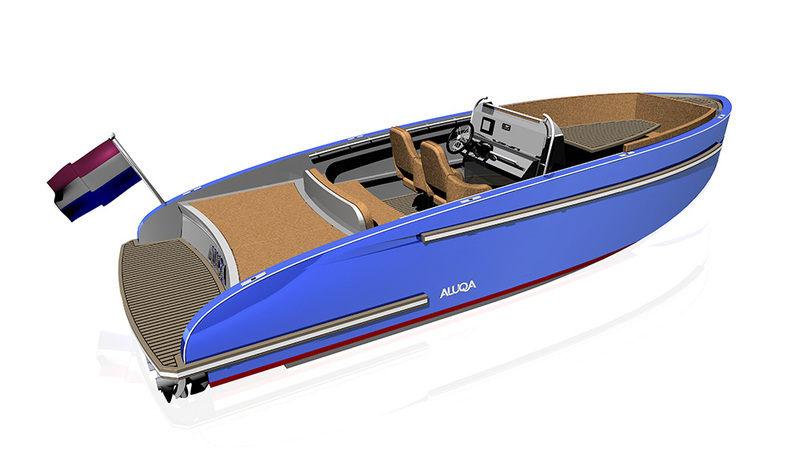 With its unique design, size and engine power, the ALUQA perfectly combines the comfort and enjoyment of an open motorboat with the power of a speedboat. Whist always being save and stable no matter how fast you go. 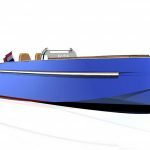 The generous space can accommodate 10 people, which offers a wealth of opportunities for a boat trip with the entire family, just the two of you or to spend a fun day on the water with friends. 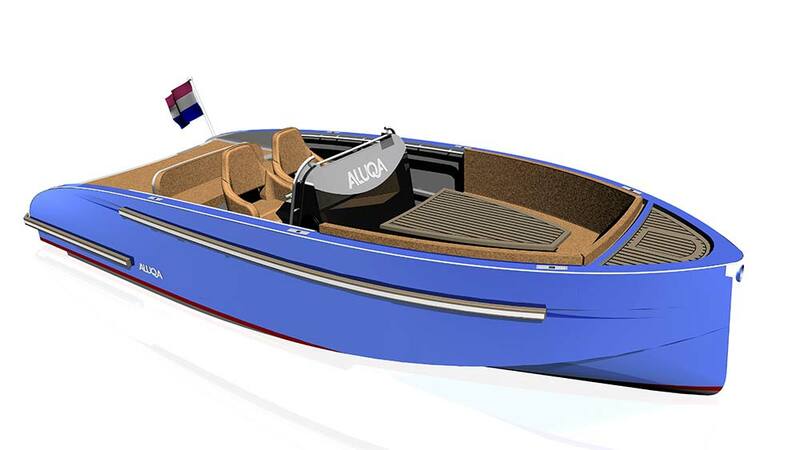 Thanks to the use of aluminium, the low weight of the ALUQA offers even more advantages. Firstly, a lightweight boat is easier to take in or out of the water and transport with a trailer. Secondly, aluminium is virtually maintenance-free. This provides a great deal of convenience and the ability to be spontaneous. We can assess the technical status of your ALUQA remotely and can then forward this information to a local yacht servicing company, so that any malfunctions can be solved quickly and adequately without causing unnecessary worries or loss of time. A truly innovative aspect of your ALUQA is that you can access it remotely from a tablet to check functions such as cooling and battery voltage allowing you to leave the port immediately. 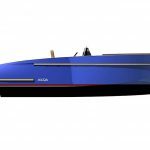 It is comforting to know that the Aluqa is powered by a reliable 220 hp Volvo Penta D3 engine featuring modern diesel technology for carefree sailing whether you opt to sail peacefully or at top speed. 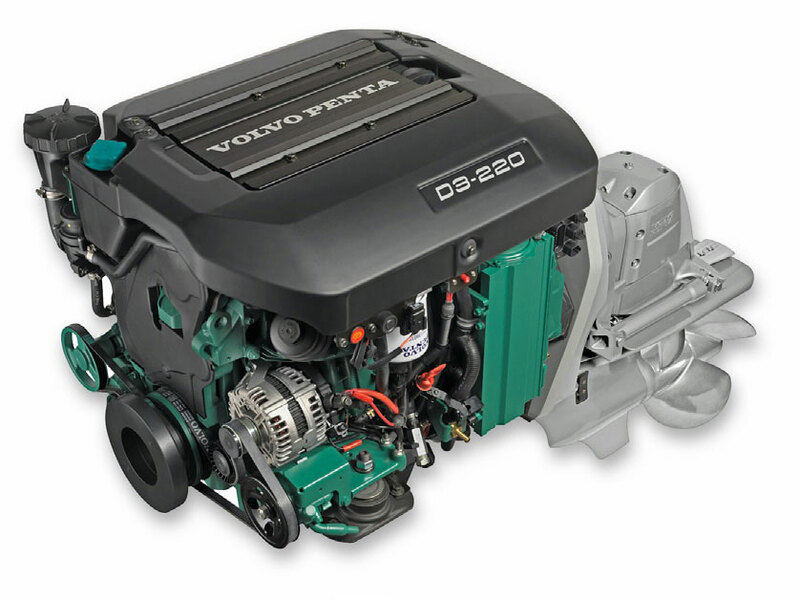 Thanks to its low noise level, this engine is perfect for quiet cruising and its lightweight aluminium design ensures stability and manoeuvrability. It is the ideal package. The ALUQA is crafted entirely by hand, has a luxurious finish, and can be designed entirely in keeping with your wishes in terms of colour(s), upholstery and furnishings. 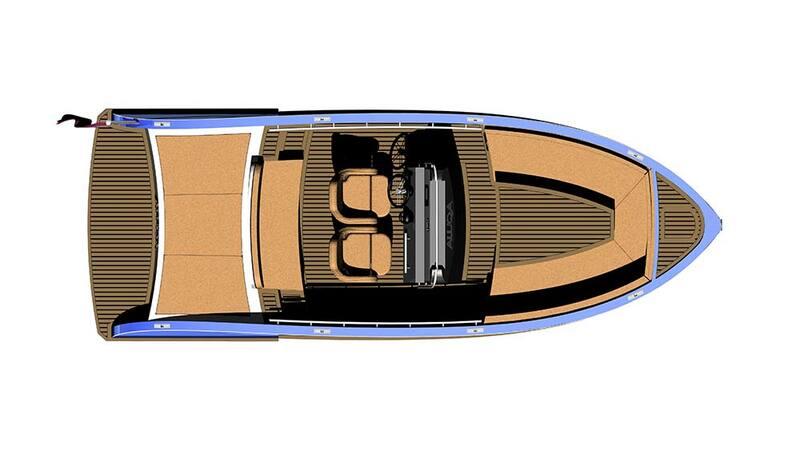 The result is a boat that is specifically tailored to your taste and preferences, a unique and personal acquisition!